California long required that any manufacturer wanting to say that a product is made in America must, in fact, have a product that’s made in America. A new state law changes that — and makes it practically impossible for consumers to know whether a made-in-America product contains foreign parts. Gov. Jerry Brown signed a bill, SB 633, this month that allows California companies to say “made in America” as long as their products are mostly made in America — 90% American-made, to be precise. Assemblyman Brian Jones (R-Santee), who co-wrote the legislation with state Sen. Jerry Hill (D-San Mateo), said requiring that made-in-America products be completely made in America placed an “overly burdensome regulation” on California businesses. “I’m pleased that Gov. Brown signed this bill into law, allowing for manufacturers to market their products proudly displaying the ‘Made in America’ label,'” Jones said. This isn’t as goofy as it sounds, though it’s still a head fake for consumers. All other states follow a standard laid down by the Federal Trade Commission. The agency defines products as being made in America if “all or virtually all” the parts were produced in the United States. The only goods that have to disclose country of origin are cars, textiles, wool and fur. “There’s no law that requires most other products sold in the U.S. to be marked or labeled ‘Made in USA’ or have any other disclosure about their amount of U.S. content,” the FTC said. “However, manufacturers and marketers who choose to make claims about the amount of U.S. content in their products must comply with the FTC’s ‘Made in USA policy,’ ” the agency said. In the past, California maintained a stricter — and, one might say, more honest — standard. 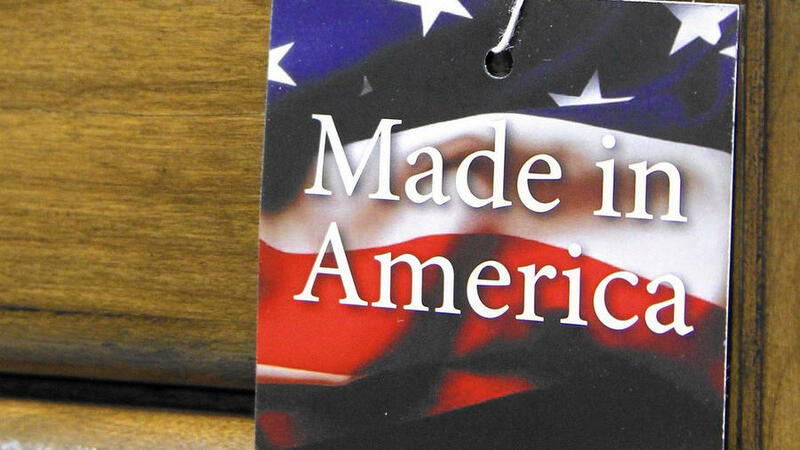 To claim “made in America,” 100% of a product manufactured in the state had to have been made in America. The business community believed that bar was too high. “This label carries great value for manufacturers as it generally denotes a quality and high standards for consumer safety,” Michael Shaw, vice president of the California Manufacturers and Technology Assn., told lawmakers in April. “However, California’s 100% standard makes it difficult to impossible for in-state manufacturers to apply this label as many products that contain significantly high levels of domestic content still fall short of 100% because some parts simply cannot be sourced domestically,” he said. In other words, businesses understand that consumers view made made-in-America products as being safer and of higher quality than other goods. But they believe consumers won’t mind if companies fudge a little for convenience sake. Richard Holober, executive director of the Consumer Federation of California, said manufacturers never had trouble in the past meeting the state’s made-in-America rule. Indeed, why would any California company purchase a part in state when a similar part undoubtedly could be obtained from a Chinese factory for a fraction of the cost? Los Angeles’ American Apparel, for example, proudly boasts that its goods are “Made in USA.” Does the claim carry equal weight now that a rival clothing company could say the same but use 10% foreign components? No one at American Apparel could be reached for comment. Hill, the law’s coauthor, told me that the less-stringent standard brings California’s labeling requirements into the 21st century. That tool, of course, is dishonesty. Manufacturers have been given a green light to lie to people. There’s no other way to put it. Is it a relatively modest deception reflecting the realities of a global economy? Perhaps. But it’s still a lie, one that favors the interests of business over those of consumers. That’s not to say you shouldn’t buy American — or 90% American, as the case may be. Chances are, the product will be higher quality, and you’ll be supporting U.S. workers. Here are some websites to check out if you want to keep your money with the home team: AmericansWorking.com, MadeInUSA.org, TheMadeinAmericaMovement.com, MadeInTheUSA.com and StillMadeInUSA.com. Each of these sites offers a wide range of made-in-America products, including baby clothes and power tools. Some also have blogs addressing related issues. Before California lawmakers and the governor bowed to business interests this month, the state’s 100% made-in-America standard was upheld in 2011 by the California Supreme Court. The case involved an Orange County company called Kwikset that had been selling locks as “Made in USA” when some of the screws were from Taiwan and some of the assembly was done in Mexico.